This entry was posted on February 1, 2015 by admin. Any drive axle must be capable of performing two functions: Support the weight of the vehicle safely and transmit power to the wheels for propulsion. By design, all steering (front) drive axles are full-floating, but rear drive axles may be semi-floating or full-floating. 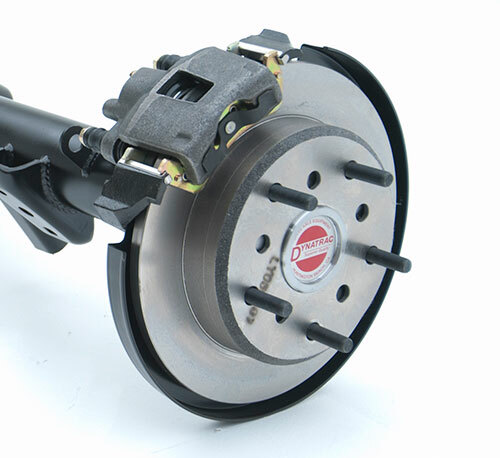 The semi-floating axle design fastens the wheel directly to the flange on the outboard end of the axle shaft and a single bearing supports the outer end of the shaft. The axle shaft has to support the weight on the axle and the propulsion forces from the engine twisting it. The semi-floater is standard on most sport-utilities, half-ton and light-duty 3/4-ton pickups. 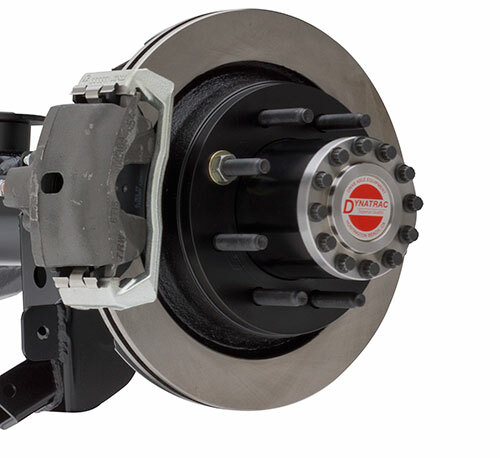 This Dynatrac design is lighter and less expensive than a full-floating axle, and suitable for 5/6 lug wheel applications up to 4500 GAWR. In this design, the wheel is fastened to a separate hub which rotates on two large, opposing, tapered roller bearings secured to a spindle on the outer ends of the axle housing. All of the weight is carried on the hub and two large hub bearings, while the axle shaft goes through the hub and handles only the twisting force from the engine. With more than double the bearing area, and no bending forces acting on the axle shaft, the full-floater is standard in most 3/4-ton HD and 1-ton pickups. It is the design of choice for heavy payloads or trailers, big-block and turbo diesel engines, and very large tires, up to 10,000 GAWR. Full-floating setups are a must for 3/4-ton and heavier trucks, and a good idea for 1/2-ton trucks that haul a lot of weight, tow heavy trailers, or see severe 4WD use. However, except for Dynatrac custom axles, virtually all factory full-floating rear ends use 8 lug wheels, so if you have invested heavily in 5- or 6-lug wheels, you may be better off having us construct a rear axle for you. Dynatrac specializes in custom Dana 60, 70 and 80 rear axles in full-floating and semi-floating versions to fit a broad range of trucks from Jeeps® to 1-tons. What is the best axle for an 05 f150 and do you put gears in to the customers preference? Which one will be the best axle for your application depends on a lot of factors, such as how you plan to use the 4x4, how large the tires are, how much power the engine makes, your driving style, transmission and t-case gearing, whether you tow or not and how much you tow. We do build the axle complete, and we have multiple differentials, gear ratios and brake choices customers can choose from. With so many variables, it is best for you to call us at 714-421-4314 for us to answer questions and make a specific recommendation. How much is a set of Dana 80's? We're very happy to provide quotes, but we need to do it by email and/or phone because of the many variations and additional questions that we will need to ask. Please call us at 714-421-4314 or send an email to sales@dynatrac.com.